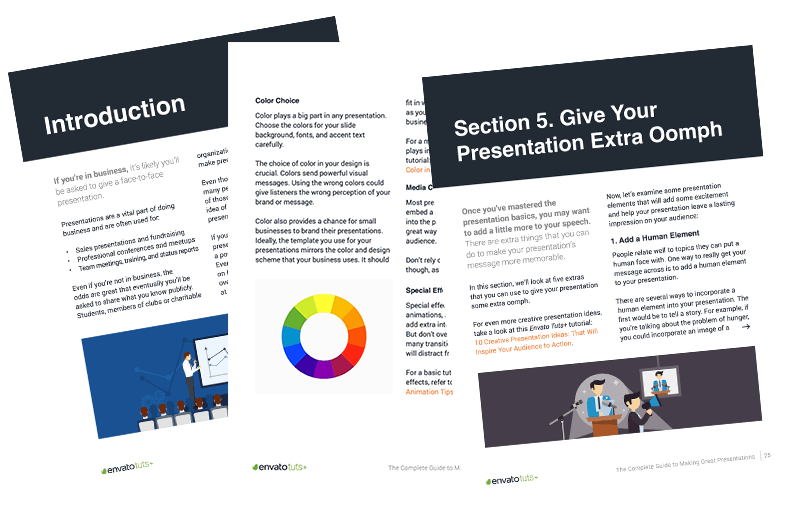 The Complete Guide to Making Great Presentations is yours free when you sign up for our weekly Tuts+ Business newsletter! Disorganized content, unclear design, and poor delivery can hinder even the best presentation ideas. 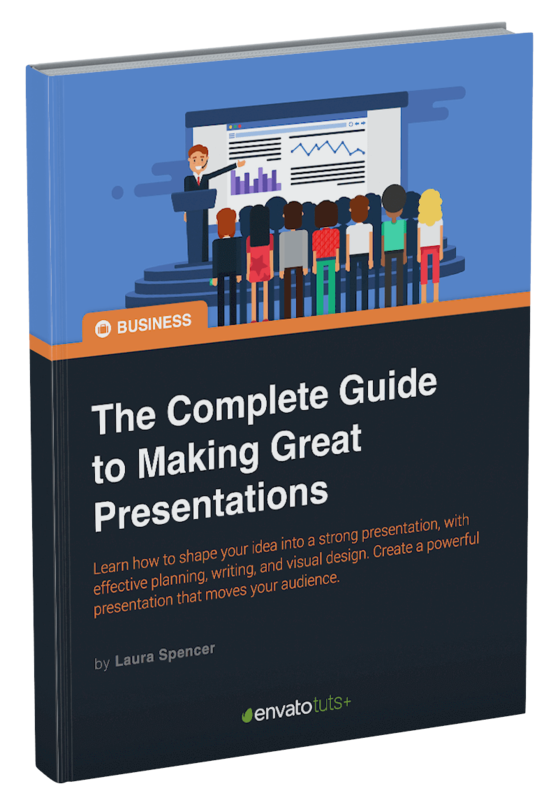 30 Page Free PDF: Get your ideas formed into a powerful presentation that will move your audience!